After summoning Hadiya, the Supreme Court on November 27 spent two whole hours discussing if they should even speak to her. As three judges of the Supreme Court – Chief Justice of India Dipak Misra, Justice DY Chandrachud and Justice AM Khanwilkar – sat motionless on November 27, a young woman dressed in red, with a red hijab wrapped around her head, approached them. All heads turned to look at the woman, who was followed by stern looking police women in uniform. Lawyers in black and white were on their heels, pushing each other, making way for her while also trying to get a glimpse of this woman who had caught the attention of the nation, the Supreme Court and the media simply by converting to a different religion and marrying a person of her choice. It was Hadiya, the 25-year-old from Kerala who had been ordered by the Kerala High Court to be remanded in the custody of her parents. It had agreed with her father’s plea and held that “parents are in all circumstances, not bound to concede absolute decisional autonomy to their children, even if they have attained majority”. From the Kerala High Court, the case had come to the apex court of the country on an appeal by her husband, a free man, for her release. He mentioned that since she was in custody, she could not file a petition on her own behalf. Earlier, a plea made by his lawyers – Kapil Sibal, Haris Beeran and I – that she be produced in the Supreme Court to interact directly with the judges, was turned down and instead, an order was passed directing the National Investigation Agency to look into an alleged racket of converting Hindu women to Islam. Shocking as the order was, it directed retired judge Ravindran to supervise the fairness of the investigation. Justice Ravindran declined for personal reasons. But the agency went ahead with its investigation; its findings have been kept in sealed cover. It was only after Justice JS Khehar, who was the chief justice at that time, retired and the present chief justice, Dipak Misra, came in that an order was passed on our insistence that Hadiya be heard by the court as it was her wish that we were all talking about. On the very first day of the hearing that took place before him, the chief justice is reported to have said “there is no law in the country which prevents a woman from marrying a criminal if she so choses”. There the case should have ended and Hadiya should have been set free. However, the court continued to hold her in her father’s custody and ordered her to be brought to the court on November 27. In compliance with the order, at 3 pm on November 27, she was produced in court by her father. In Delhi, she had been kept at the Kerala House under police protection, with no one allowed access to her, not even her husband or his lawyers. Sitting in the first row, I could barely see her from the corner of my eyes, but respect for her privacy prevented me from turning around and glaring at her as all the others did. This was the young woman I had wanted to meet ever since I started appearing in the case. I caught a glimpse of her, smiling at the police women who were with her. I noticed she had an easy relationship with them. And they reciprocated with respect for her and her privacy – they seemed to be saying this is just our job but we understand what is going on. I marvelled at her cool relationship with the police. In captivity, she seemed free. Neither the courtroom with its intimidating grand wooden structure, nor the sea of lawyers, nor the three learned men sitting in judgement over her could take away her composure and calm. The proceedings began and, surprisingly, the eminent judges spent close to two hours discussing if they should even speak to Hadiya. There she was, this young woman who could understand every insult being hurled at her, in English, a language she understood but did not speak, patiently standing and waiting for her turn to tell her story. Senior Advocate Shyam Divan, representing Hadiya’s father, insisted she had been programmed, presumably by jihadis and her husband, and that she needed “professional de-programming”. 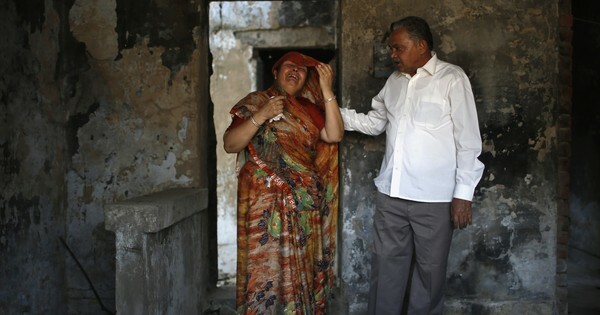 When confronted with the fact that she was an adult woman and could not be kept in the custody of her parents, his answer was that it was the duty of the court to see that an organised crime was taking place to lure Hindu women into marrying Muslim men and recruiting them for terrorist activities. Never mind that she was a major, never mind that she was free to marry anyone of her choice, never mind that she was accused of no crime. And Maninder Singh, representing the National Investigation Agency, insisted that the investigation records be looked into and considered before talking to her. Kapil Sibal and I insisted that Hadiya’s voice be heard in court. She was a woman with a mind of her own and must be allowed to speak for herself; that was the purpose of summoning her to court. The deliberations that ensued in the courtroom for the next two hours are enraging and heartbreaking at the same time. 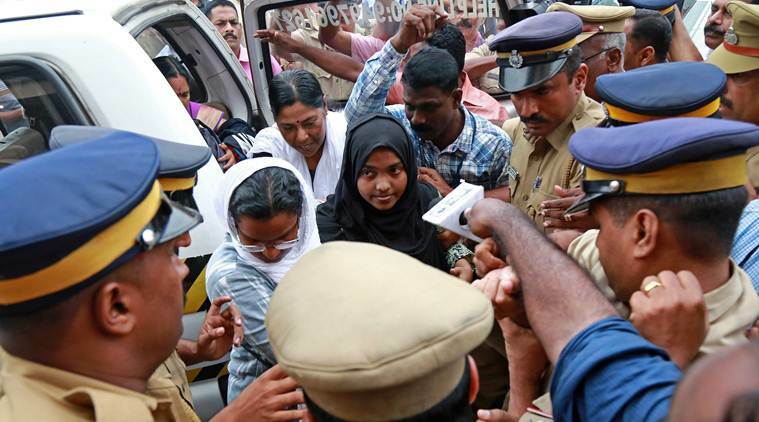 Shyam Divan argued that Hadiya was indoctrinated, she was programmed, and the National Investigation Agency had uncovered evidence that showed her husband had connections with Islamic State terrorist group, and also that there were other similar cases in Kerala. 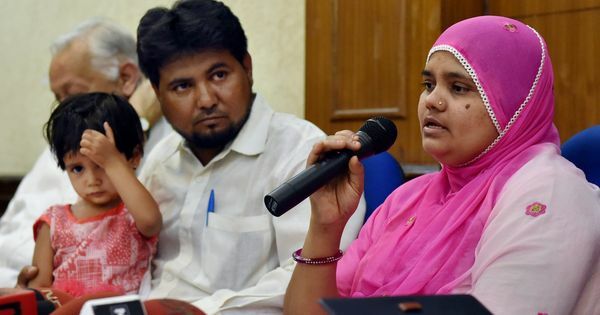 Maninder Singh argued that Hadiya should not be spoken to until the evidence and records collected by the agency are studied because an organisation that supports terrorist causes was at work in Kerala and this was a matter of national security. Over and over again, the word brainwashed was repeated in what seemed to me an attempt to brainwash the judges and the audience in the court into believing that Hadiya was not mentally competent to understand her own decisions. While the three learned judges were sitting comfortably, as were the lawyers, she was made to stand for close to two hours, waiting for her turn to speak. It did not occur to anyone to offer her a chair – after all, she was not an accused in a court of law. I have seen other judges offer a chair to other litigants or officers who appear before them, but not to this young woman. The conversation in the court, confined to the lawyers and judges, was only about legal niceties relating to indoctrination: how does one decide if a person is indoctrinated, what are the consequences of indoctrination, when do judges decide to talk or not to talk to a person alleged to have been indoctrinated? Should they talk to her before or after seeing the National Investigation Agency’s papers? Was her marriage void, as was held by the Kerala High Court? Was her conversion [to Islam] coerced? I thought to myself, does it matter whether they talk to her before or after a lengthy legal discourse on indoctrination? The least they have to do anyway is to talk to her to come to a conclusion either way. It was at this point that Sibal took a decision to call out the judges and point out that today, here and now, the issue before the court was Hadiya’s liberty, that she needed to be set at liberty here and now. We argued that the parens patriae jurisdiction [the state’s obligation to protect and take into custody the rights and privileges of its citizens] that the court was seeking to exercise over her was available to them only for minors and the mentally challenged, and Hadiya was neither. 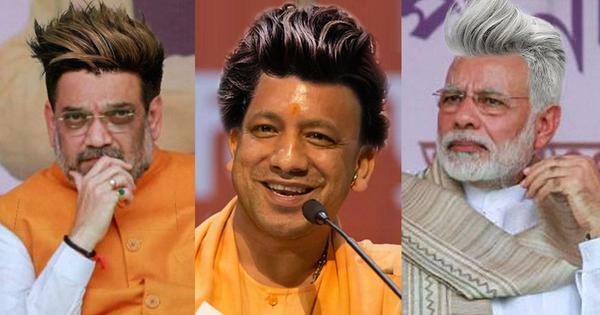 It was then that I saw a turning point in the minds of all three judges. They instantly stopped talking about forced conversion and marriage. The battle for her liberty was won at that moment. It is this that her father’s lawyers feared – Hadiya’s truth, Hadiya’s voice. At one point, Justice DY Chandrachud asked her who she was closest to as a child and she said “my father”. I was touched by her honesty. She made no attempt to malign her father or blame him for her problems. The judge was disarmed. There was no argument left that she was hostile to her family. 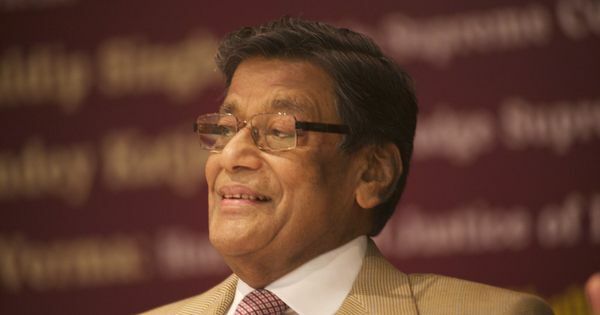 Shyam Divan still persisted. A person can be detained at a “pre-crime stage”, he said. The ink was barely dry on the privacy judgement holding autonomy in decision-making as a fundamental right; could the judge who authored that judgement agree with this proposition? The answer is, obviously not. And yet for something so obvious, it took the court a good two hours to listen to her voice. The gendered nature of the issue escaped the judges for those two hours. When I mentioned that if she were not a woman, we would not have witnessed this debate in court, the judges promptly proclaimed that this was not about gender. My angry remark was: “Is it okay to keep a woman waiting for an hour and a half when she has come here at the orders of your lordships, it is about the agency of a woman. If it was a man, he would have been given the opportunity to speak by now.” What transpired next shocked even a seasoned feminist lawyer accustomed to assaults against women in court day in and day out. The courtroom burst out laughing until I said, “This is not a laughing matter.” The chief justice agreed that it was not a laughing matter, bringing the laughter to a sudden halt. But in anger, he insisted this was not a gender justice issue. “It is very unfair on your part, Ms Jaising,” he said. Chandrachud, too, said, “Ms Jaising, man or woman, the personal autonomy would be treated at par.” Really, my lords? Towards the end of the hearing, the judges turned to the counsel for the state of Kerala, VV Giri, and asked what he had to say about the National Investigation Agency’s report and whether the court should look at it. 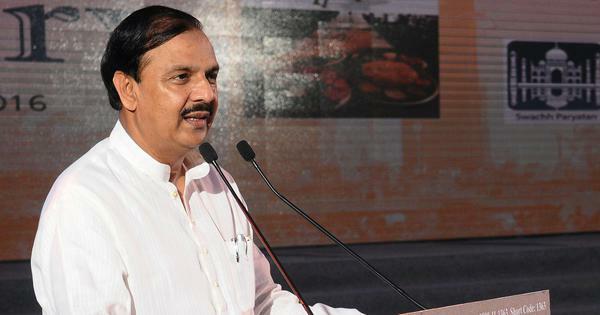 At that stage, VV Giri did an about turn and, contrary to the findings of the Kerala Police that there were no criminal proceedings against Hadiya or her husband, said that in his opinion the view of the National Investigation Agency should be taken into consideration while making the decision on her liberty. This for me was the most inexplicable aspect of the case. Why would a government delegitimise the findings of its own police force? Why did they not support the findings of their own police? Close to two hours of discussions later, the court – having sat for an hour over its scheduled time – passed an order directing Hadiya’s college in Salem, Tamil Nadu, to admit her as a student for the completion of her studies. 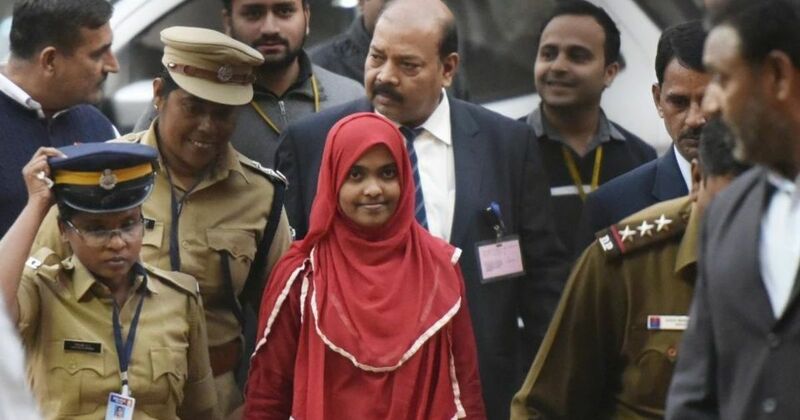 Hadiya today is free, but freedom is indivisible – you cannot be free to study but not free to convert, free to study but not free to marry, free to enter a hostel but not free to have the company and compassion of one’s husband. She has many more battles waiting to be won. This is indeed, notwithstanding what the judges may say or think, a battle for gender justice, a battle for agency that women have been fighting for centuries. 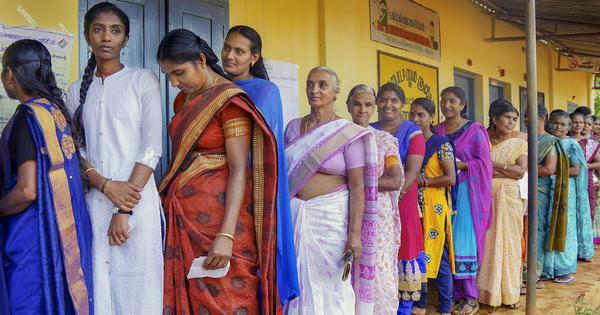 The larger battle for Hindutva and political control over the state of Kerala is being fought over a woman’s body. Indira Jaising is a Senior Advocate practising in the Supreme Court.